Excerpts From R. Crumb’s Dream Diary, “The Ward Porter” by Billy Childish, Jay Lynch’s Nard n’ Pat, Nina Bunjevac, Two centerfold sketchbook drawings by R. Crumb, William Crook Jr. on old Chicago Movie Palaces, Noah Van Sciver’s Sketchbook, Peter Poplaski, Christoph Mueller, Robert Armstrong, Rika Deryckere, Aaron Lange, David Collier, Henry Denander, Pat Moriarity, Curtis Eller, Bill Griffith’s ZIPPY, & MORE! 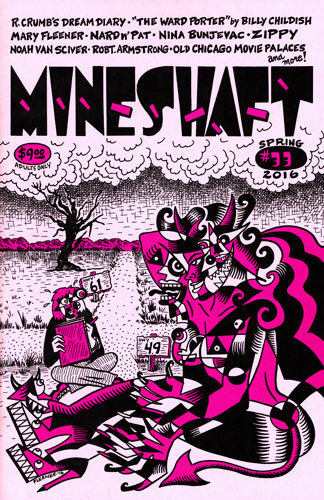 Mineshaft #33 features a beautiful front cover by Mary Fleener & back cover by R. Crumb! 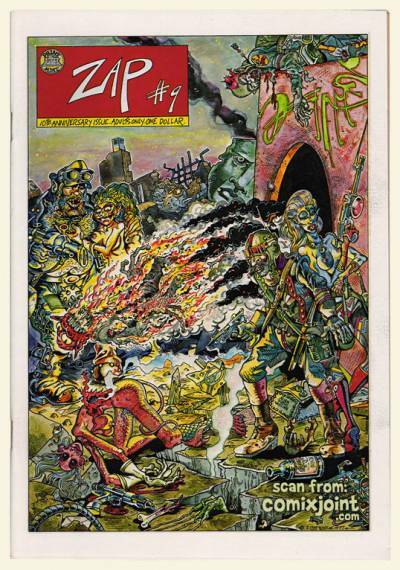 ALSO in this issue… Excerpts From R. Crumb’s Dream Diary, “The Ward Porter” by Billy Childish, Jay Lynch’s Nard n’ Pat, Nina Bunjevac, Two centerfold sketchbook drawings by R. Crumb, William Crook Jr. on old Chicago Movie Palaces, Noah Van Sciver’s Sketchbook, Peter Poplaski, Christoph Mueller, Robert Armstrong, Rika Deryckere, Aaron Lange, David Collier, Henry Denander, Pat Moriarity, Curtis Eller, Bill Griffith’s ZIPPY, & MORE!